It must also be described well enough that someone in the field could use it without too much experimentation, must be sufficiently well described to show that the inventor actually possessed the invention, and must be claimed with enough particularity that the boundaries of the patent property right are clear. These requirements are intended to ensure that the public is getting its end of the bargain: disclosure and dissemination of inventive knowledge. They also guard against giving patent owners broad legal rights that are out of proportion to their actual inventive contributions. Subject-matter eligibility, in fact, overlaps with all these other major requirements. For example, natural products and natural laws have long been ineligible subject matter for patents. One way to understand why is that such discoveries are not truly innovative in the sense of reflecting human ingenuity. Instead, they preexist human intervention, forming what has been called the library of nature, free for all to build upon in solving more specific problems. As discussed above, this concern for innovation is one that the utility, novelty, and nonobviousness doctrines also share. Similarly, abstract ideas are also ineligible subject matter for patents. Were it otherwise, the patent owner might preempt the full scope of an idea without disclosing all possible instantiations of the idea. Indeed, the patent owner might not even know all possible implications of the idea, but merely have staked out the tip of a large, unexplored continent. As discussed above, these concerns about preempting entire fields from follow-on research and about ensuring proportional patent scope are ones that the disclosure requirements also share. 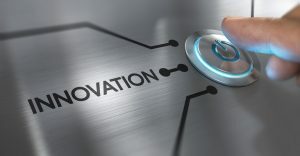 So if these various requirements are factually intensive, requiring evidence and testimony about technology and even the economics of innovation, and can be resolved through a quick legal judgment about threshold eligibility, it is easy to see why courts might turn to the subject matter eligibility doctrine early in litigation. And turn to it they have. 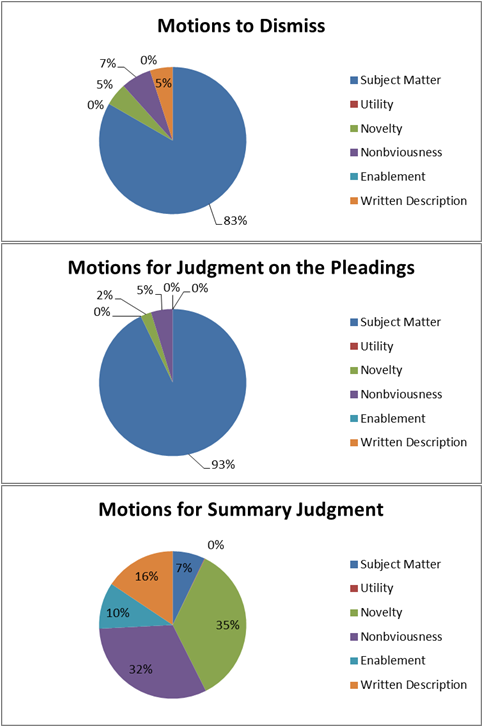 Litigation data on motion practice in patent cases reveals that, when decision costs have not yet accrued, motions to dismiss and motions for judgment on the pleadings are based primarily on subject matter ineligibility. By contrast, among motions for summary judgment following discovery, subject-matter ineligibility plays a much smaller role as other, more fact-intensive patentability doctrines can now be argued. Conversely, the points at which subject matter ineligibility is argued are spread fairly evenly across motions to dismiss (34%), motions for judgment on the pleadings (27%), and summary judgment (39%). 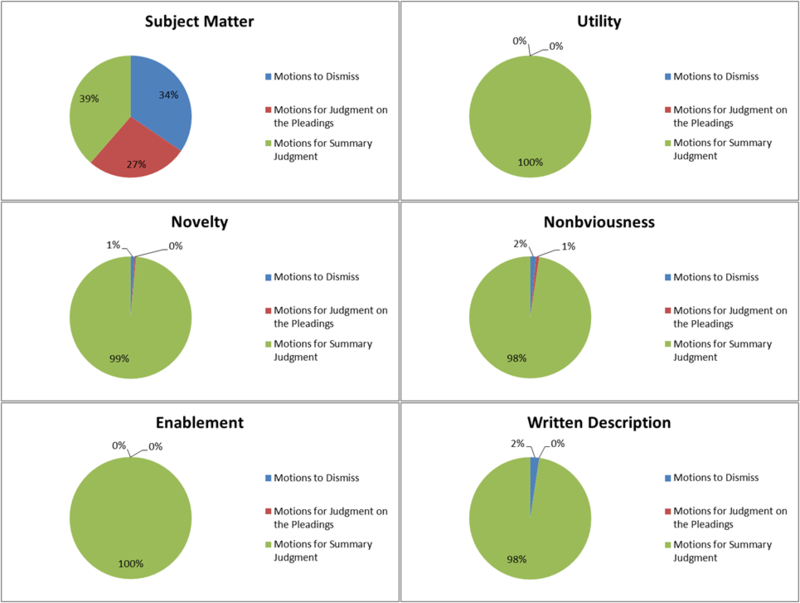 The five other major patentability requirements—utility, novelty, nonobviousness, enablement, and written description—come up almost exclusively at summary judgment. In short, the doctrine of subject matter eligibility has become a per se shortcut for the more fact-intensive rule of reason-style analysis that other patentability doctrines require. Problems arise in the patent context when judges who want to conserve resources today cut too many corners and underestimate their likelihood of errors. The costs from those errors, after all, lie in the future and are easy to miss. Judges in patent cases have begun relying on a style of decision-making that is quite similar to antitrust law’s distinction between per se rules and the rule of reason. An antitrust rule that says a certain economic practice is per se invalid is cheap to administer but, like many bright-line rules, can lead to errors. The rule of reason is more likely to result in a correct decision about the economic conduct in question, but will require more judicial resources. Per se rules of antitrust should only be used, therefore, for types of economic conduct that are well-understood and very reliably harmful. Indeed, the historical lesson of antitrust has been that per se rules should be used very sparingly because a wide range of economic practices may prove to have procompetitive effects. This does not mean the conduct is definitively legal under the antitrust laws—or that a given patent is definitively valid. It simply means that more information and more careful judicial consideration are needed before an accurate decision can be reached. The use of subject-matter eligibility at the pleading stage may be conserving decision costs, but it is without sufficient regard for error costs in decisions about patent validity. In my paper, I discuss problems with the current approach and propose ways to guard against this irresponsible borrowing from antitrust. Two of these proposals come from antitrust itself. Even in a domain where per se analysis might be appropriate to use, two factual predicates must still be resolved. One is to define the market. The other is to characterize the conduct itself, e.g., even if horizontal price-fixing is per se illegal, there must be a showing that the offending conduct is, indeed, tantamount to horizontal price-fixing. Both of these issues have direct analogues in patent law. Akin to defining the market is identifying the relevant field of the invention. This is a taxonomic exercise that the Patent Office routinely undertakes when assigning appropriate patent examiners to evaluate every invention that comes in the agency’s doors. Courts generally ignore or improvise the issue, but the field of invention is foundational to understanding whether a patent is valid—including whether the invention constitutes eligible subject matter. As I have argued in an earlier paper, conventional principles of administrative law suggest that courts can, and should, defer to Patent Office classifications about the field of invention. This approach has the benefit of adding necessary information to patent validity determinations, information that an expert agency has already generated. In other words, it reduces a court’s error costs without raising decision costs. Akin to characterizing the conduct is construing the language of the patent to determine what it actually covers. Each patent contains claims that, when read in light of the detailed descriptive material earlier in the patent, delineates the scope of the patent right. Construing these claims is necessary for all the other major patentability requirements, though courts often skip this step when deciding subject matter eligibility. As ever, the impulse to reduce decision cost is understandable, but ignoring minimum basic facts is surely a recipe for judicial error. Indeed, incorporating patent claim construction into a subject matter eligibility analysis early in litigation need not be a fully costly exercise. Even at the pleading stage, there is a solution within the very procedural standard for dismissing a patent case because the asserted patent is purportedly invalid: construing the patent claims and the associated underlying facts in the light most favorable to the nonmoving party, i.e., in the light most favorable to the patent owner. A patent that cannot survive even this antitrust-style “quick look” is unlikely to pose error costs from being found invalid. And, as in quick look analysis, a patent that appears to survive probably does merit more detailed scrutiny akin to the rule of reason. Deciding a patent’s validity is costly, and the desire to avoid expending significant resources in resolving patent validity is a sound motivation. But deciding incorrectly is costly, too, and decisions to overturn settled patent property rights that often embody significant investments must be properly informed by the relevant facts. In striking this balance, the turn of the patent bench toward an antitrust lesson represents a welcome new dialogue between these two areas of law. The admonition of my paper is to complete the turn, and reach for the entire lesson.